Or are you like some transgender women who “think” they have passable voices, but are unaware of the common mistakes they’re making that keep them from truly being accepted as women? I wish to say that I have found your training videos to be a lifesaver. It’s the next best thing to being in person, but with my limited resources and busy schedule, this was the ticket! You make a wonderful instructor. I’m very glad to be taking your 30-Day Course. Actually, I took it last year, but I keep revisiting lessons 3-5 and the subtleties of expressions continue to sink in. I never intended to “make it” in 30 days. My time frame is much longer, but it really doesn’t matter. Now my voice has improved greatly. If you aren’t satisfied with your voice, it means that your approach isn’t working. Simplistic advice – such as “raise your pitch” or “speak softer” – won’t get you anywhere. Sadly, I’ve meet many TG women who’ve been working on their voices for years and still get “read” every time they open their mouths. That’s the bad news. The great news is that with the RIGHT APPROACH, you can learn how to achieve a passable feminine voice in as little as 30 days! Rachel Did It … And So Can You! 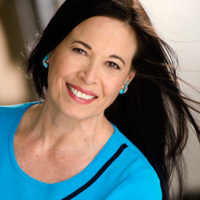 My name is Kathe Perez and I have been a certified speech-language pathologist since 1986. Since 2000, I have worked with thousands of transgender women as a Voice Feminization Specialist. Through my years of clinical experience, I have developed a voice feminization approach that WORKS. The possibilities that open up when you have a passable feminine voice are truly limitless! My patients have successfully transitioned in their careers as physicians, attorneys, university professors, engineers, and even public speakers. But best of all, they are now finally able to express themselves as the women that they truly are. Individual VFT (Voice Feminization Therapy) is a great way for patients to work with me one-on-one to get the individual attention they need. As an alternative to the individual VFT and a more economical way to begin, I have developed a series of voice feminization audio programs, including Fundamentals of Your Feminine Voice and Beyond the Fundamentals. My self-study audio programs have helped thousands of transgender women, but I’ve discovered that many people have a hard time working through these programs alone. My tools work, but if you’re like most TG women, you also need STRUCTURE and SUPPORT in order to make the fastest progress on your voice. That’s why I have developed a NEW interactive voice feminization program that will walk you through the process of achieving a passable feminine voice in the next 30 days – for a fraction of the cost of individual therapy! The 30 Day Crash Course – Voice Feminization Basics is an independent voice feminization study course that will guide you, step-by-step, through my proven voice feminization process. I’ll show you EXACTLY what you need to do each day to achieve a passable feminine voice in the quickest amount of time possible. While feminizing your voice is an ongoing process, my 30 Day Crash Course will give you the foundation you need to express yourself as a woman in the next 30 days. The 30 Day Crash Course is a BEGINNER’S PROGRAM designed for transgender women with little to no experience working with their voices – OR for those who have been working on their voice for years and still feel stuck at the beginner level. The 30 Day Crash Course is an ONLINE course that consists of live-streaming instructional and practice videos, downloadable notes and worksheets. You can participate in the 30 Day Crash Course from anywhere in the world any time of the day from the privacy of your own home, office or hotel room. You can work with the videos on your iPhone, iPad or other smartphone or tablet. Since The 30 Day Crash Course is an independent study program, you can fit the course around your own schedule. You can pause your training and resume when you have more time. You can extend your training and work with each class for two weeks or even a month. You can redo the course at your leisure to further absorb the concepts behind the training. Class #1 sets the stage for success. First, you’ll discover the posture and breathing principles that are the foundation of a passable feminine voice. Then, you’ll learn strategies for mastering feminine pitch – one of the Nine Elements of an Exceptional Feminine Voice. I’ll show you how to put together a daily practice routine and finally, how to incorporate “proprioception” and “metacognition” into your practice strategy (these principles are KEY to achieving feminine voice mastery). Achieve perfect feminine pitch – and be able maintain this pitch while you speak. Design a daily practice routine that will quickly reprogram your mind and body to speak like a woman. Use the principles of “proprioception” and “metacognition” to achieve feminine voice mastery. Uncover the hidden blocks and challenges to your success. Class #2 focuses on another critical element of your voice: articulation. But first, you’ll get a crash course on the anatomy and physiology of your voice so you can understand the changes you are making on a physical level. You’ll learn additional techniques for mastering posture, breathing, and pitch – and finally, you’ll learn how to train your ear so you know when your voice is hitting the mark and when you are falling flat. Understand the differences between masculine and feminine articulation and know why articulation is key to sounding authentically female. Master my special “Clear Talk Techniques” so you can achieve perfect feminine articulation. Improve your posture, breathing, and pitch so your voice evolves to the next level. Class #3 focuses on the critical element of voice quality. I will challenge you with additional strategies for transforming your voice. You’ll learn more about the mechanics of your voice so you can apply this to the skills you are learning. You’ll also learn how to fine-tune your practice and blast through any areas of “stuckness”. Master my strategies for transforming the quality of your feminine voice. Upgrade your vocal skills from simple words and phrases to more advanced patterns of speech. Tweak your daily practice routine so you can quickly bust through any barriers to achieving a passable feminine voice. Class #4 is when things start to get exciting. You will begin to move beyond structured exercises to spontaneously speaking in a feminine voice. You’ll learn how to integrate posture, breathing, pitch, articulation, and voice quality into conversational speech – and you’ll learn how to make these new skills a habit. Finally, we’ll review audio samples that reveal what works and what doesn’t work in male to female voice transition. Go from doing structured drills and exercises to spontaneously speaking in a natural feminine voice. Integrate feminine posture, breathing, pitch, articulation, and voice quality into your speech. Ensure that your new feminine vocal patterns become a habit. Avoid the most common voice feminization mistakes. Almost there! Class #5 will solidify the foundation you built during The 30 Day Crash Course and give you the tools to make ongoing improvements in your voice. I will show you how to maintain the changes you’ve made and leave you with a blueprint for future success. Design a customized practice routine that will allow you to maintain your results with ease. Understand the advanced vocal and communication differences between transgender women and genetic women. Go from simply “sounding” feminine to truly expressing yourself as a woman. Continue to improve your feminine vocal skills so you can ultimately take your voice from “passable” to “beautiful”. Instructional Videos – Each class includes one 20-minute instructional video that can be viewed on your computer or mobile device. Watch the instructional videos any time that suits your schedule. Instructional Video Notes – Notes from the instructional videos will be provided so you can easily refer back to the key concepts for each class. You may download, print, and save these notes for future reference. Practice Videos – Each class includes several practice videos demonstrating the vocal training exercises for each class. You will receive approximately 10 minutes of practice videos for each class. Practice Worksheets – Many of exercises in the practice videos have worksheets that accompany them. You may download, print, and save these worksheets for future reference. NOTE: You will need a frequency tuner. We suggest our mobile app Eva (iOS main app is free). 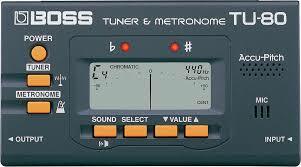 Android platform has many free frequency tuners and there are many effective standalone models, like the BossTU 80. The next 30 days are going to come and go in a flash. Where will YOU be in the next 30 days? Will you still be floundering around, wasting time on things that don’t work, experiencing the frustration of being called “sir”, and feeling more and more hopeless about ever being accepted for who you are on the inside? Or will you grab this opportunity to finally achieve a passable and beautiful feminine voice? The next 30 days are going to go by anyway, so why not use them to your advantage? With my 30 Day Crash Course, you have the opportunity to transform your voice and your life in a few short weeks! All you have to do is show up, follow my simple instructions, and invest approximately 15 minutes into your voice each day for the next 30 days … and I promise that your results will astound you! No more wasting time and money on methods that don’t work. My clinically-proven approach has worked for thousands of transgender women – and it will work for YOU, too! My clients pay me $150/hour for individual Voice Feminization Therapy, but if you register for my 30 Day Crash Course, you’ll get access to my proven voice feminization program for a fraction of the cost! Best of all, The 30 Day Crash Course is a total package that will give you the TOOLS, STRUCTURE, and STRATEGIES you need to achieve a passable feminine voice as quickly as possible. The tuition for The 30 Day Crash Course is $127.00 USD.This includes all the instructional videos, instructional video notes, practice videos, and practice worksheets. As soon as you have submitted your payment, you will receive instructions on how to immediately access The 30 Day Crash Course Member’s Area. The Member’s Area contains all the Instructional Videos, Instructional Video Notes and Worksheets, and Practice Videos for each of the 5 classes. Note: The videos are in streaming MP4 format (viewable from any computer or mobile device) and the notes and worksheets are in digital PDF format (viewable on any computer or mobile device with the free Adobe Acrobat reader). Best of all, your satisfaction with The 30 Day Crash Course is 100% guaranteed. Test my program RISK FREE for 60 days. If you’re not thrilled with the program, then simply let me know and I will send you a prompt and courteous, no-questions-asked, 100% refund. Register for my 30 Day Crash Course and I know it will be one of the best decisions you’ll make this year. The possibilities that open up when you have a passable feminine voice are truly limitless! P.S. Remember, with my 100% money back guarantee, there’s no risk on your part. Don’t miss out on this chance to transform your voice and your life in the next 30 days! NOTE: The 30 Day Crash Course consists of streaming MP4 video files and Adobe Acrobat PDF files. No physical products will be shipped. After you order, you will get INSTANT ACCESS to the videos, which can be played on any computer or mobile device, and the PDF files, which can be viewed on any computer or mobile device with the free Adobe Acrobat Reader. Copyright © 2016 Exceptional Voice, Inc.